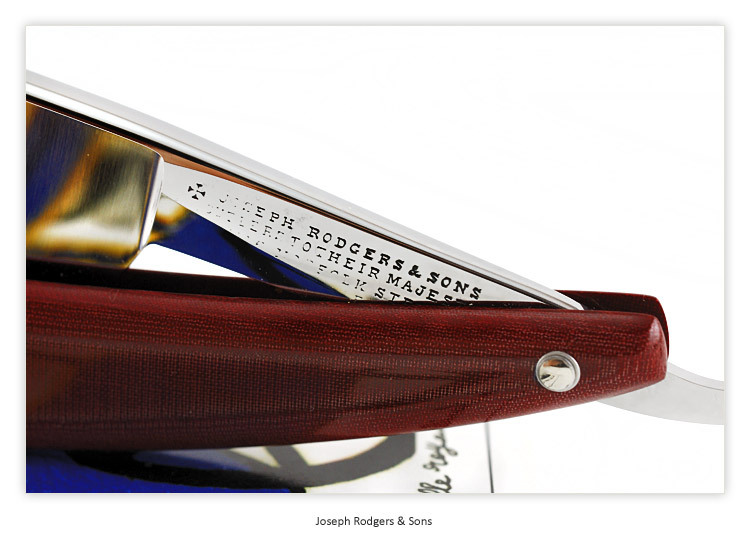 Vintage Straight Razors offers a Vintage Straight Razor - Joseph Rodgers & Sons - Cutlers to their Majesties - Norfolk N°6 Sheffield - 7/8 : Near Wedge : w/Red Linen Micarta scales - Shave Ready. 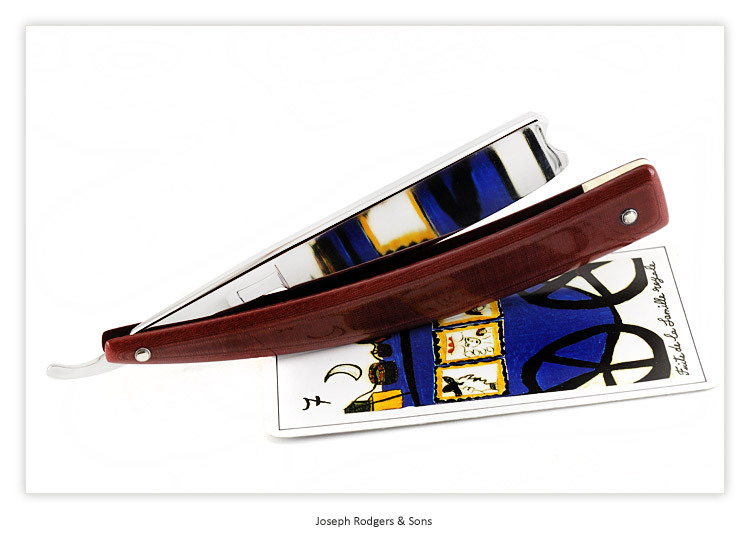 This is a very old vintage straight razor from Joseph Rodgers & Sons, Cutlers to their majesties, Norfolk N°6, Sheffield, in stellar condition from the mid 1800's. 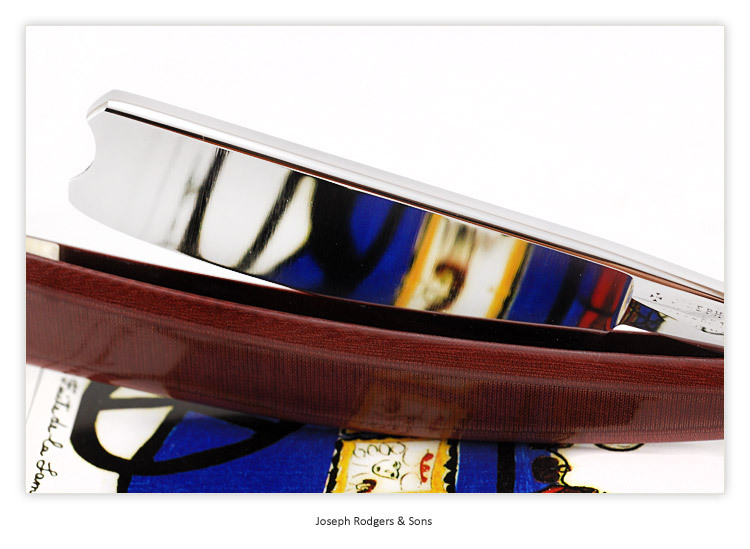 The blade has professionally been restored with a total re-grind preserving the original grind and removing all pitting and blemishes. The scales are Red Linen Micarta acrylic, tapered with a recon stone wedge. 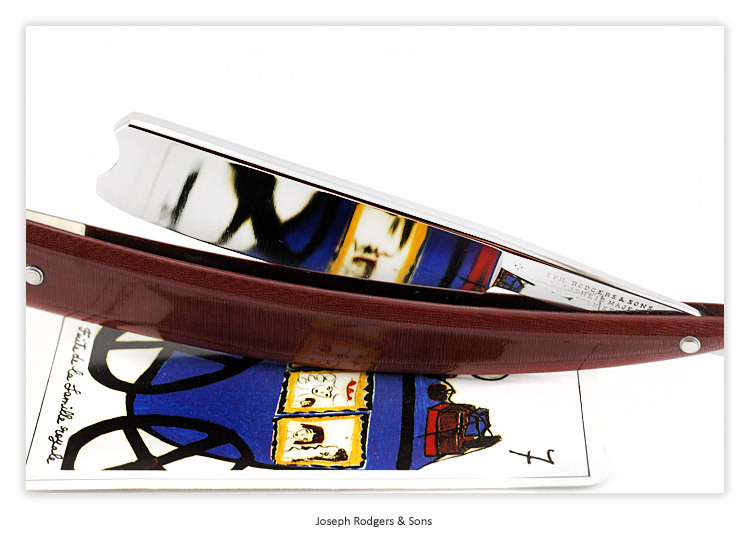 The blade is extremely clean with no rust, cracks, chips or disturbing stains. 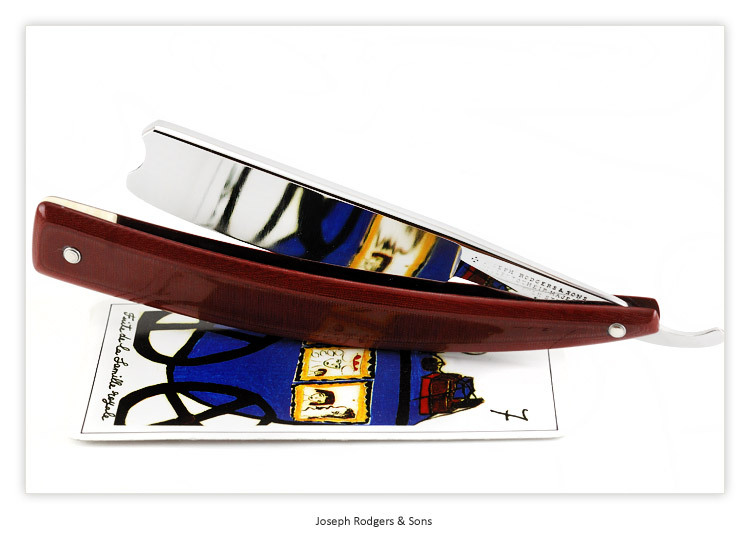 On the front tang it says: Joseph Rodgers & Sons - Cutlers to their majesties - N°6 Norfolk - Sheffield. 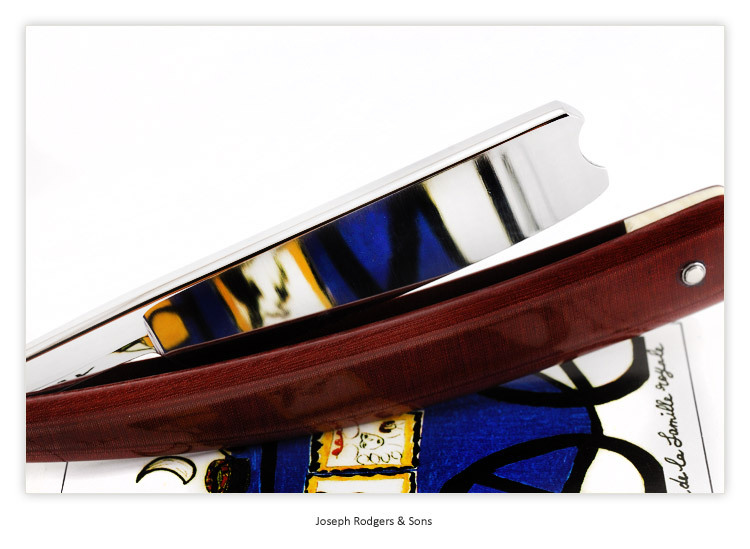 A very old vintage example of a Joseph Rodgers & Sons in excellent condition.